For many centuries Andermatt was situated at the premier crossroads for both north-south and east-west traffic across the Alps. 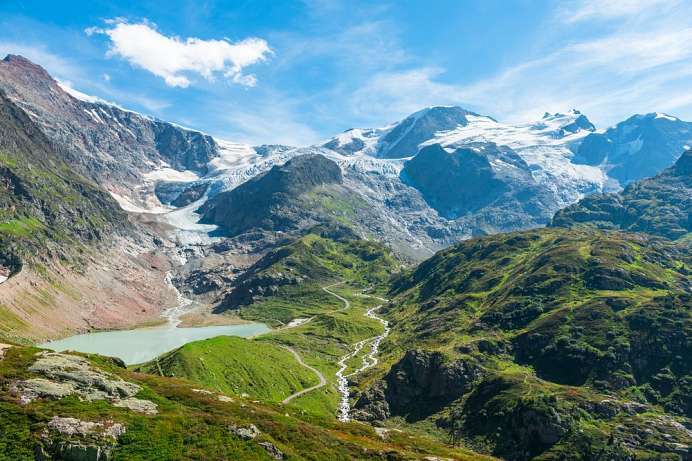 The ancient Swiss town lies at the center of four key Alpine passes: the Gotthard Pass to southern Switzerland, the Göscheneralp Pass to north-central Switzerland, the stunning Furka Pass to the Rhone Valley in the west, and the Oberalp Pass to the Rhine Valley. Many gorgeous Alpine drives of various length and difficulty can be taken from Andermatt. A relatively unchallenging yet scenic excursion is the three-passes panoramic drive around the Rhone Glacier, either in your own car or in one of the canary-yellow Post buses. 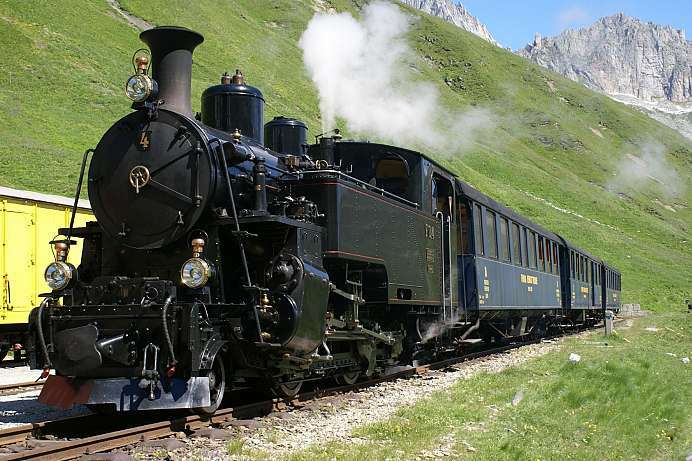 A truly unforgettable experience is a ride on the Furka Steam Train from Realp to Oberwald. 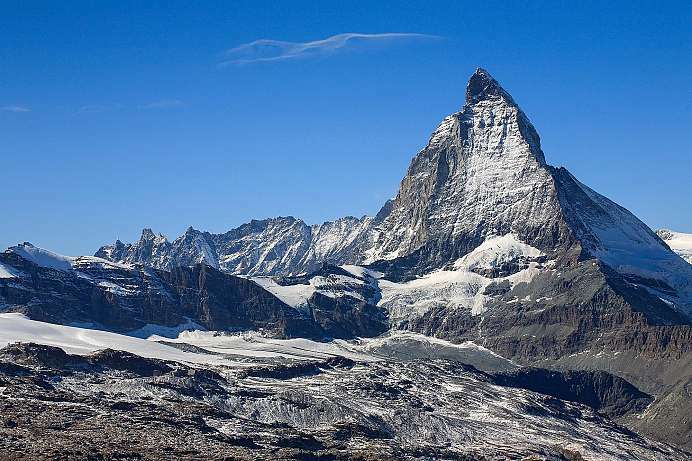 The 2,429 meter high pass connects the Valais with the the Urseren valley and leads over the European watershed between the North Sea and the Mediterranean. From October to May, the pass is closed. 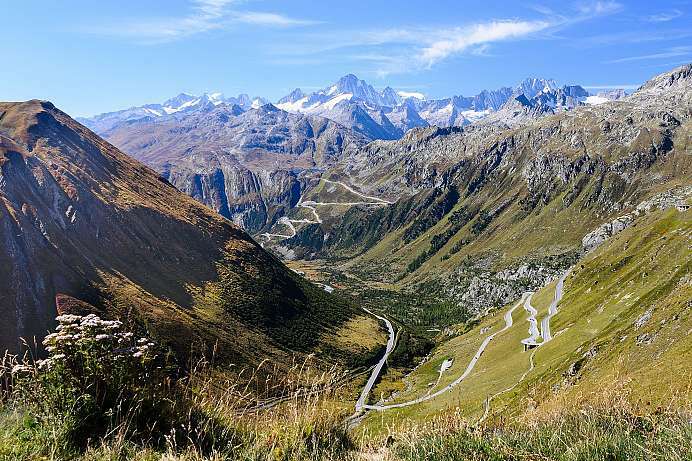 Together with the Grimsel and the Susten passes the Furka Pass is part of a magnificent three-pass round trip, – a challenging route for an exciting day tour. After the Furka Base Tunnel between Realp and Oberwald was completed, the cogwheel railway over the pass was deemed to be closed permanently. However, idealists and railway enthusiasts ensured that the historic railway line over the mountain was preserved. From May to late September steam engines depart daily needing a good two hours for the 18 kilometer route. 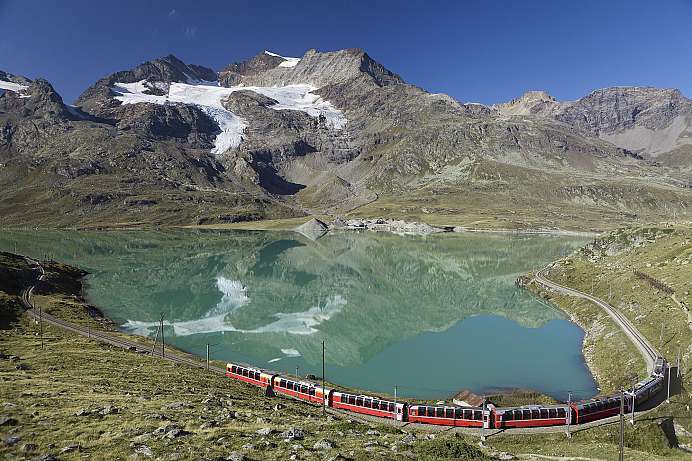 The 2,164 meter high pass connects the Bernese Oberland with the Upper Valais and is located on the watershed between the Mediterranean and the North Sea. Already in the 14th century there was a mule track over the pass. However, the road was only built in the 19th century. On the southern side there is a magnificent view of the Goms, the Furka Pass and the Valais Alps. 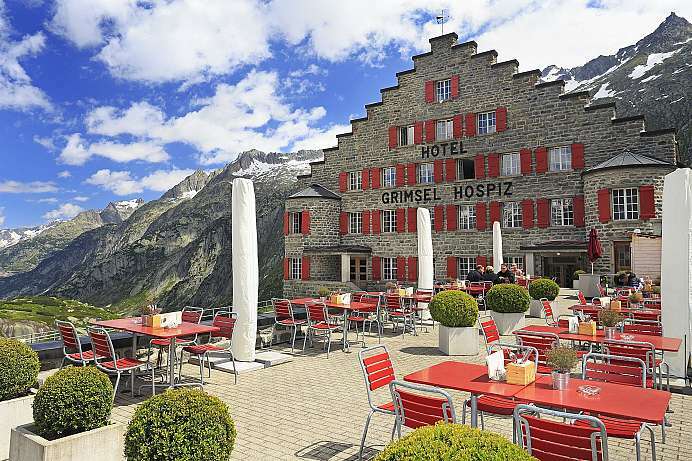 On the northern side there is the historic hospice or inn located on the Grimsel Lake. The Susten pass is one of the many passes in Central Switzerland. 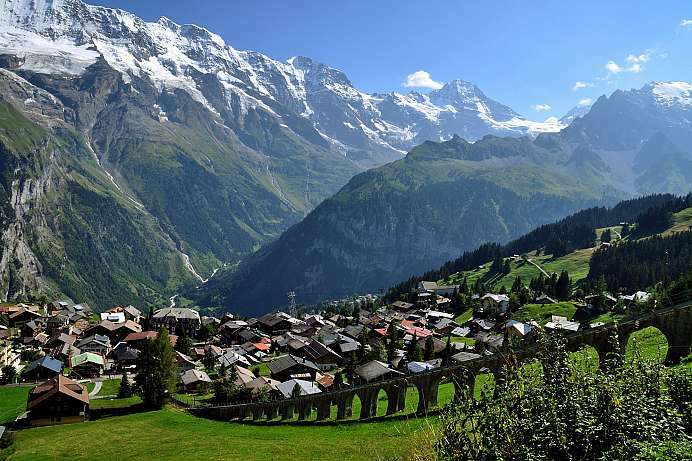 It forms the natural border between the cantons of Uri and Bern. From the east, one reaches the pass summit via the wildly romantic Meiental, while one has to cross the Gadmental to the west. With good visibility one has an impressive view of the Fünffinger (3,023 m) and the jagged Wendenstöcke (3,042 m) in the north, as well as of the Stucklistock (3,308 m), the Fleckistock (3,417 m) and the Sustenhorn (3,503 m) in the south of the pass summit. From the small lake in the west of the pass tunnel a short ascent to the top is worthwhile. 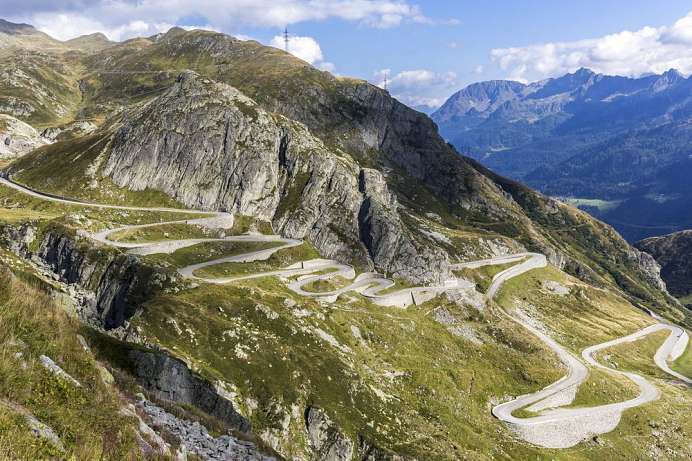 This mountain road winds its way elegantly up the Gotthard Pass. It has been a protected landmark since 1832 and is considered one of the “great drives of the Alps.” From the Middle Ages up until the 20th century, the pass was one of the most important routes over the mountains. Coaches would use the road in the summer, and sleighs in the winter. Today, it is preferred by nostalgic visitors; those in a hurry can simply drive straight through the mountain via the Gotthard tunnel.